The QuiltPro Plus IV brings style, symmetry, and space to your sewing room. 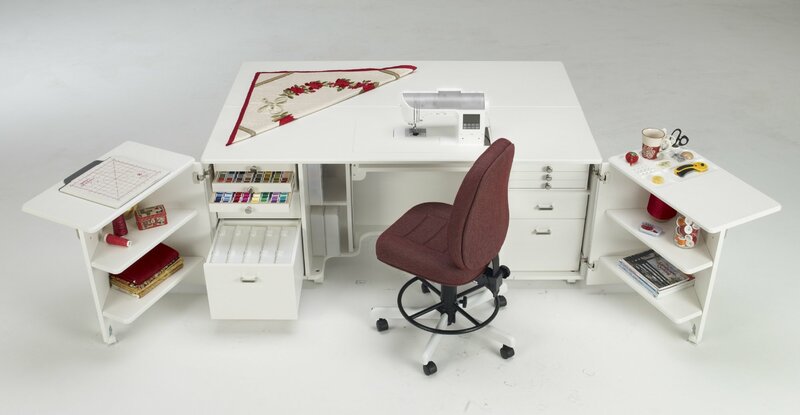 In addition to 23 square feet of workspace surrounding your machine, you'll find storage to the right and left, ensuring that the notions, thread, and fabric you need are always on hand. The XL Lift for BERNINA 8-series machines is optional on this series.